When is a vehicle's tire repairable? When is a vehicle's tire repairable? When is a vehicle’s tire repairable? Whether a tire is repairable can’t be decided at a glance. When inspecting tires, HomeTowne Auto Repair & Tire uses guidelines set by the Rubber Manufacturers Association (RMA). Injuries that are located on the inner or outer shoulder can’t be repaired, according to General Manager Rich Campbell. The Woodbridge-based repair shop doesn’t use older plugs to address the damage. It also isn’t allowed to use patches on those that have been previously repaired with plugs. Tires that have been punctured in a safe area could still have invisible injuries. Automotive technicians can address some damage using plug patches. They apply them using rubber cement, which prevents water or dirt from accumulating in the holes. 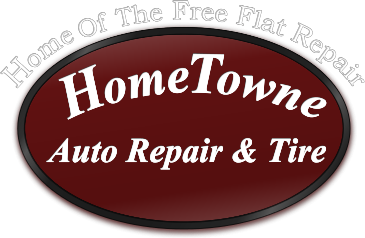 Providing safe and effective repairs is a priority for HomeTowne Auto Repair. “Please understand that, while we may make you upset because we’re not going to be able to repair your tire, we’re doing that to keep you safe, your loved ones safe, and those that are driving on the roads with you safe,” Campbell said.